DIAL: Black dial with tritium hour markers and applied logo. Special orange center chronograph seconds hand. CONDITION REPORT: The dial and hands are in mint condition. The case is unpolished as well as the bracelet. 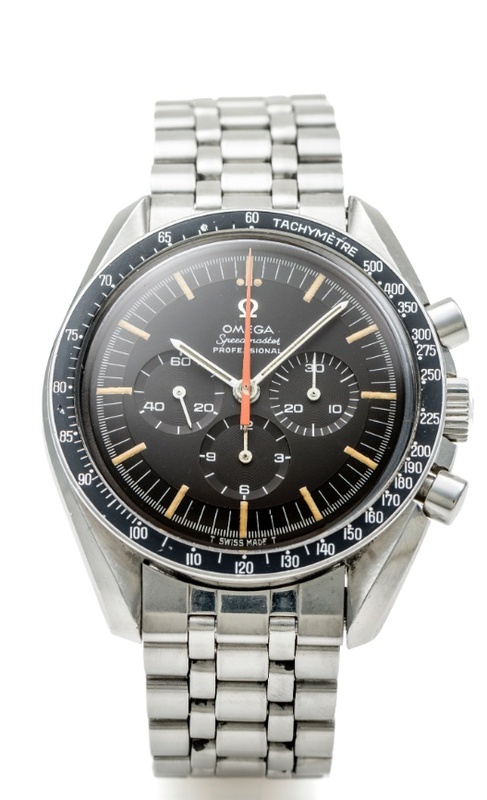 Notes: According to the Omega Museum the present watch was manufactured in June 1968 and delivered to Mexico.